Know what many of today's leading industrial product innovators have in common? Us. CRP is one of the leading suppliers of innovative high-pressure and fluid transfer hoses and high speed motors to the NAFTA market. Our wide range of industrial products reaches everyone from the local painting contractor and EMTs to internationally renowned winemakers and various manufacturers. In fact, there are very few industries in North America today that don't use or need a product brought to you by CRP Industrial. Of course, you can't stay in business as long as we have by distributing just any product that comes along. Instead we look for companies and innovative products that embrace our vision and embody the same core values that we do. So when you buy from CRP Industrial, you know you're getting a high-quality product backed by a service-oriented company. CRP is dedicated to being the most admired supplier of high-quality products to the North American industrial market. We’ll continue to achieve this vision by providing customers with the Quality, Service, and Trust they demand. Offering them excellent customer service, marketing support, and products from some of the world’s most innovative industrial manufacturers. At CRP, we make sure every part of our business, from what we sell to how we sell it, meets the highest standards. It’s how we’ve been doing business for over 50 years, and we’re not about to stop now. Quality. Service. Trust. These are the cornerstones that we've built our company on and you can find them in every area of our organization - from the products we carry, to the people who work here, even in the way we conduct business. It's this unique dedication to our customers and suppliers that sets us apart from our competitors. Big enough to help, but small enough to care. At CRP, it's more than just a company's slogan, it's our way of life. 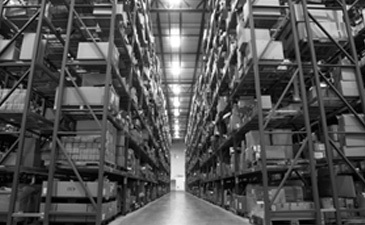 We believe that the most valuable things we can offer our customers don't have SKUs, and they can't be pulled off a warehouse shelf. CRP is an ISO 9001:2015 quality certified organization. The International Organization for Standardization (ISO) awards this certification based on a set of strict standards and requirements. Standards and requirements that are no higher than what we set for ourselves, and the products we sell. That’s why in our industrial division you will never find anything other than the highest quality parts. Whether it’s a high-pressure thermoplastic hose or a precision high-speed motor, if it’s on our shelves our customers can rest assured that it’s the best they can buy. Even our sales staff is held to a higher standard. Knowing SKU numbers isn’t enough. They need to have a working knowledge of every product we sell. So when you have a question or need advice, you can get the help you need to make the right purchase.